The Islamic State is almost “completely defeated” on the east side of the Middle Euphrates River Valley, extending into Iraq, Army Col. Ryan Dillon, Operation Inherent Resolve spokesman, told reporters at the Pentagon Tuesday. However, that same optimism wasn’t reflected on the west side of the river valley, commonly called the MERV, which was “liberated by pro-Syrian regime forces, backed by their Russian counterparts,” Dillon added. Dillon said Al Dashisha and Hajin are the only places where ISIS fighters exist in numbers larger than four or five. Elsewhere, the insurgents only manage to gather in “onesies and twosies,” he said. “We are looking to rip apart any type of networks they still have,” Dillon added, pointing to the work done in dismantling ISIS’ ability to recruit, finance, plan external attacks and build drones. One such dent in ISIS’ network was the capture of Mohammad Haydar Zammar, a Syrian-born German national linked to the Sept. 11, 2001, terror attacks, who reportedly planned to recruit new ISIS fighters. Zammar was captured by U.S.-backed fighters while trying to cross out of Syria. Although ISIS’ networks are “almost non-existent at the moment,” they retain some lethality, such as their ability to still manufacture vehicle-borne improvised explosive devices, according to Dillon. There have also been concerns regarding other insurgent groups, one of which is the White Flags, which Dillon characterized as an ISIS offshoot in the mountain areas outside Kirkuk, Iraq. Still, Iraqi security forces have spotted those groups, and are “aggressively pursuing them,” he said. 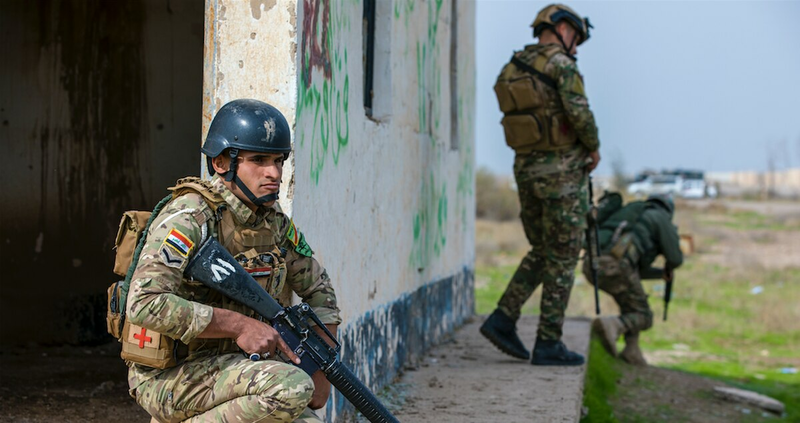 Part of deterring ISIS offshoots rests on the coalition’s mission to stabilize the areas liberated from ISIS. 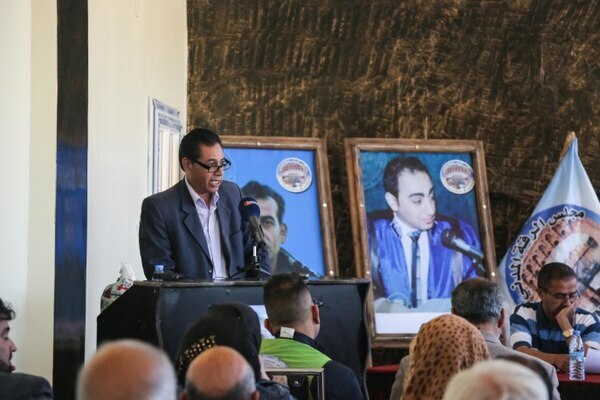 To that end, in the former ISIS capital of Raqqa, internal security forces and a civil council are being empowered and resourced by the coalition, Dillon said. 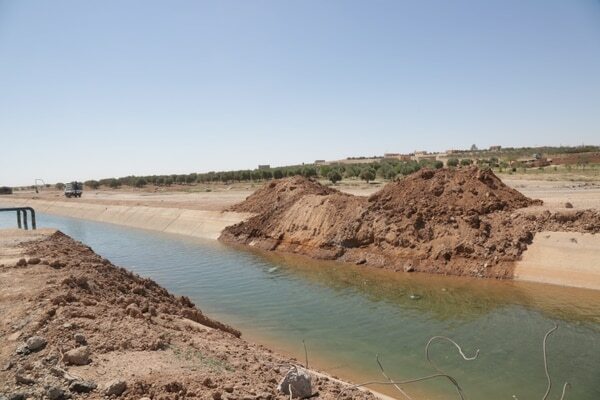 “One such initiative is the restoration of the region’s canal system, restoring water to tens of thousands of northeast Syrians ... supplying hundreds of wheat farms throughout the region,” he added. As for the remaining two spots under ISIS control, liberation has been on hold until more of the U.S.-backed Syrian Democratic Forces, or SDF, return to fight ISIS. Earlier this year, SDF fighters went north to fight Turkish forces attempting to take Afrin, Syria, from Kurdish militia, an ethnic group which makes up a large part of the SDF. Around that time, the coalition announced an “operational pause,” while still urging the SDF to remain focused and return to the anti-ISIS offensive. That pause appears to be nearing an end, as SDF partners are spotted returning to the MERV. As for how much longer the coalition plans to stay in Iraq and Syria, Dillon wouldn’t address rumors that negotiations were under way to replace western troops with those from the United States’ Arab allies. “I will keep those discussions that happen between commanders on the ground, between those commanders,” Dillon said.